In a large bowl, sieve together 150g cake flour, 5ml (1 tsp) baking powder, pinch salt, 2,5ml (½ tsp) bicarbonate of soda and 30ml (2 tbsp) castor sugar. In another bowl, beat 1 egg until fluffy, then whisk in 125ml (½ cup) warm buttermilk, 125ml (½ cup) warm milk, 30ml (2 tbsp) melted butter and 5ml (1 tsp) vanilla essence. Make a well in the centre of the dry ingredients and stir in the wet ingredients, until the flour mixture is just incorporated (do not over-mix – the batter should be lumpy). Place a non-stick frying pan over medium heat and add a little canola oil to grease. Place about 80ml (1/3 cup) of the batter in the pan, spreading it out a little, if needed. Cook the flapjacks until bubbles break on the surface, then flip and cook the other side until golden, about 1 minute. 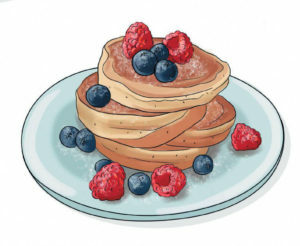 Repeat these steps with the remaining batter. Serve stacked, with butter, maple syrup and fresh berries. 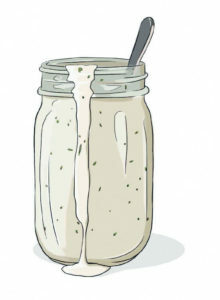 In a 250ml capacity jar, combine 75g good quality mayonnaise, 80ml (1/3 cup) milk, 80ml (1/3 cup) buttermilk, 30ml (2 tbsp) lemon juice and 1 peeled and minced garlic clove. Add a big handful of finely chopped fresh chives and parsley and crumble in a wheel feta. Shake well to combine, then season with salt and freshly ground black pepper to taste. 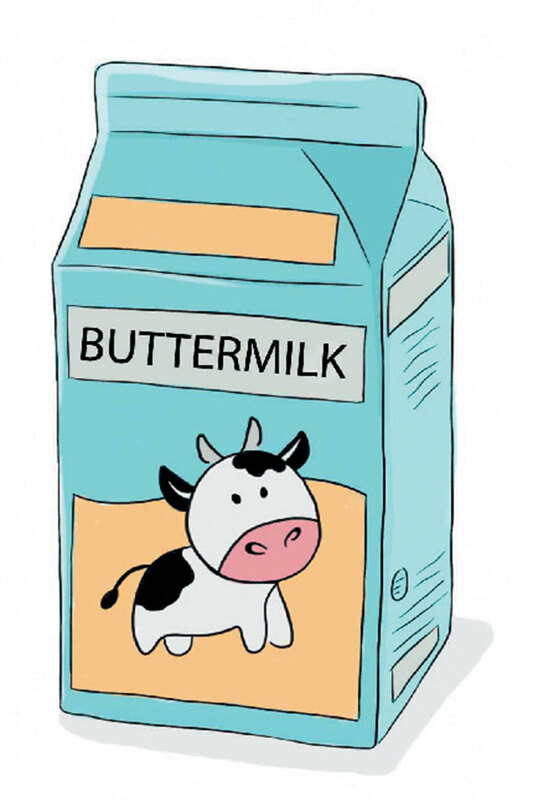 Add a little more milk to thin down, if needed. 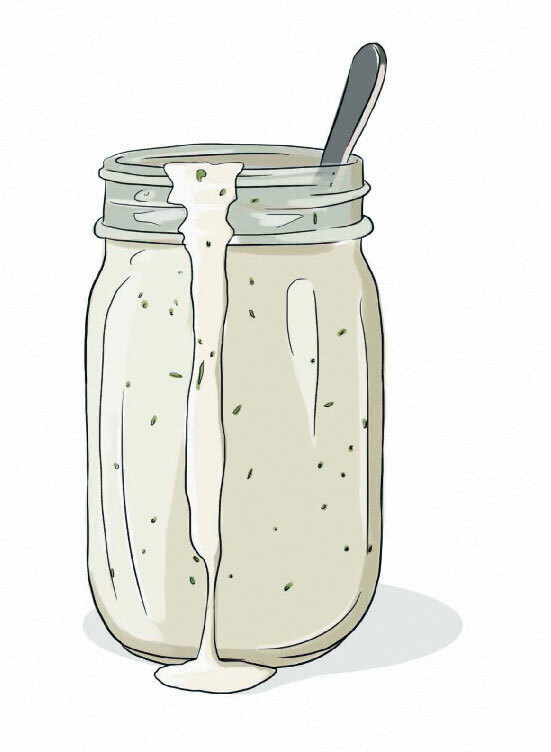 This dressing is delicious over greens, pasta and grain salads. Place 450g fresh squid tubes and tentacles in a colander and rinse under cold running water. Drain the squid and place in a bowl. Add 250ml (1 cup) buttermilk to the bowl with the squid and toss to combine. Cover the bowl with cling film and refrigerate, 3 hours. While the squid marinates, make the lemon aïoli by combining 150g good quality mayonnaise with 1 peeled and minced garlic clove and the zest and juice of 1 lemon. 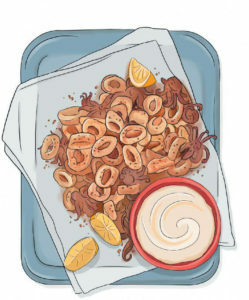 Once the squid has marinated, scoop it out of the bowl, discarding any excess buttermilk. Roughly pat the squid with paper towel to remove the buttermilk residue, then toss the squid in 60ml (4 tbsp) cornflour and 15ml (1 tbsp) Cajun spice mix. Place a frying pan over very high heat and add a glug olive oil. Once the pan is smoking hot, fry the squid in small batches until just cooked and golden. Season with salt and freshly ground black pepper to taste. Serve with the aïoli and lemon wedges for squeezing.